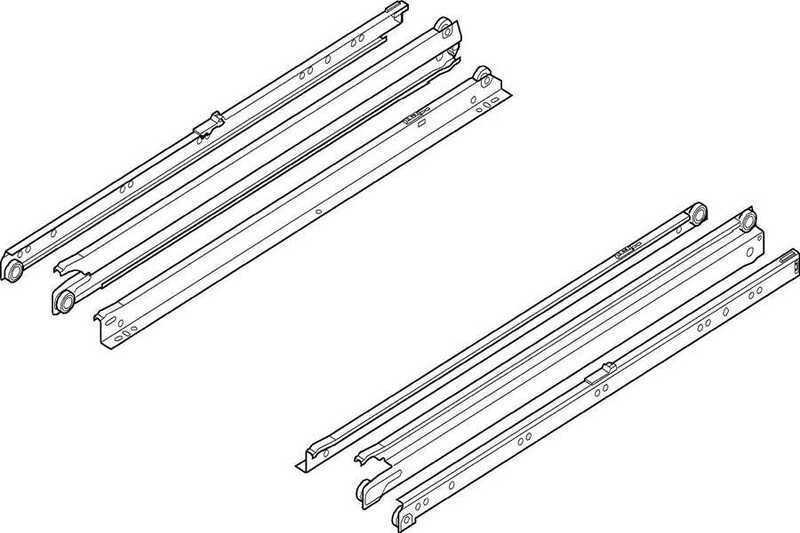 The 430E full extension bottom-mount series is available in lengths from 10" to 32". The series features a safety lock to prevent accidental drawer removal and an intermediate profile lockout for easy drawer insertion. • Note: Rear mount sockets are not available for 430 series. For frame cabinets, block out under cabinet profiles. 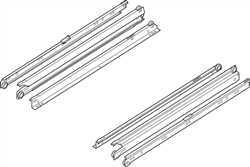 • All Standard drawer runners exceed BHMA Grade 1 requirements (75 lbs. dynamic load capacity, and 100 lbs. static load capacity). Standard drawer runners are backed by Blum’s Lifetime Guarantee.